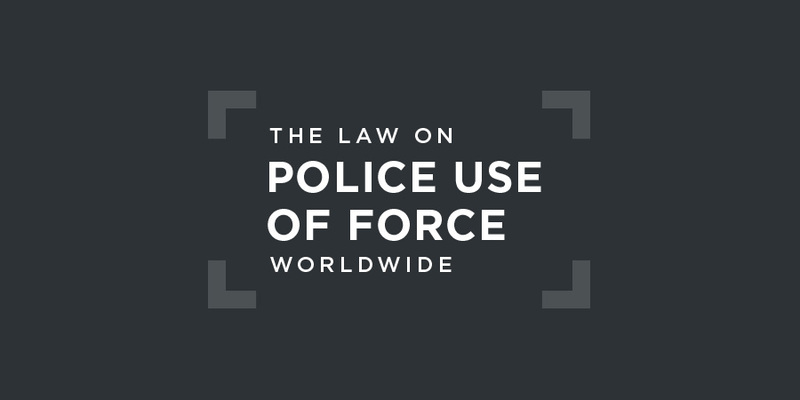 Uzbekistan should amend national legislation governing police use of force and firearms to ensure it complies with international law. The right to exist is the inalienable right of every human being. Attempts on anyone's life shall be regarded as the gravest crime. Article 26 prohibits "torture, violence or any other cruel or humiliating treatment". Article 100 makes local authorities responsible for ensuring the observance of laws, maintaining law and order, and ensuring security of citizens. The Constitution does not directly regulate the actions of law enforcement agencies. There is no regional human rights treaty to which Central Asian nations can become party. Law enforcement in Uzbekistan is carried out by national police under the Ministry of the Interior. In 2016, the President approved a law governing the police: "On law enforcement agencies". There is no civilian independent police oversight body in Uzbekistan. about the lack of a full, independent and effective investigation into the mass killings, including of women and children, by military and security services during the Andijan events in May 2005, and regrets the State party’s assertion that the matter has been closed and would not be revisited, citing visits by two international officials without effective investigative powers. It also regretted "the lack of clear information on the revision of the regulations governing the use of firearms by law enforcement and security forces". at the reports it has received that the authorities have perpetrated or acquiesced in, threatened to perpetrate and threatened to acquiesce in acts by other prisoners of sexual violence against individuals deprived of their liberty. There is no regional human rights court with jurisdiction over police use of force in Uzbekistan.